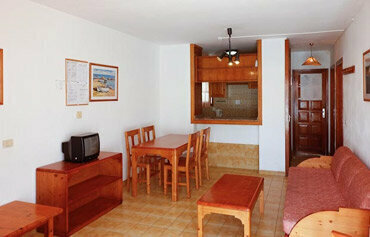 The Tinerfe Garden Apartments are located in the Costa Adeje area of Tenerife, just a short walk from the beach. There are a number of shopping areas, bars, restaurants and nightlife options within the immediate vicinity of the Tinerfe Garden. Costa Adeje is only 1 km from the bustling resort of Playa de Las Americas where there is a wealth of amenities including water parks, shop and a lively nightlife. This 2 star Tenerife apartment complex is 20 miles from the airport, which means transfer times are around 20 minutes to your destination in Costa Adeje. Tinerfe Garden has 76 apartments, all with a kitchen, fridge, telephone, satellite TV and a balcony/terrace. 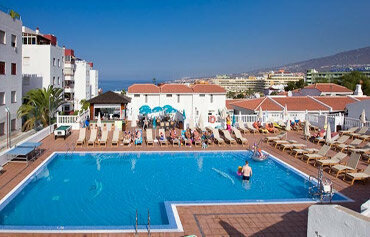 Facilities at the complex include a swimming pool, poolside snack bar serving snacks and refreshments throughout the day, pool table, tennis, bar and a 24hr reception for those of you who want to experience the lively nightlife in Playa de Las Americas on a holiday to Tenerife. The cosy apartments feature a combined bedroom/ lounge, a separate bedroom and a balcony. They also include a fully equipped kitchen with fridge, a direct dial telephone, satellite/ cable TV and a hire safe. Self catering complex with a poolside snack bar serving snacks and refreshments throughout the day. Just 1km from the bustling resort of Playa de Las Americas, Costa Adeje boasts stunning views of Mount Teide and a lush sandy beach where you can try your hand at some of the water sports on offer or why not improve your handicap at the local golf course. 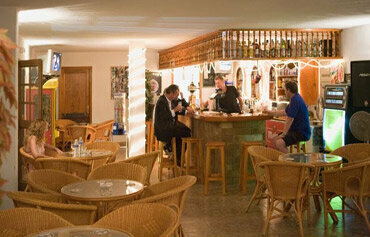 For a late night out head in to bustling resort of Playa de Las Americas close by.